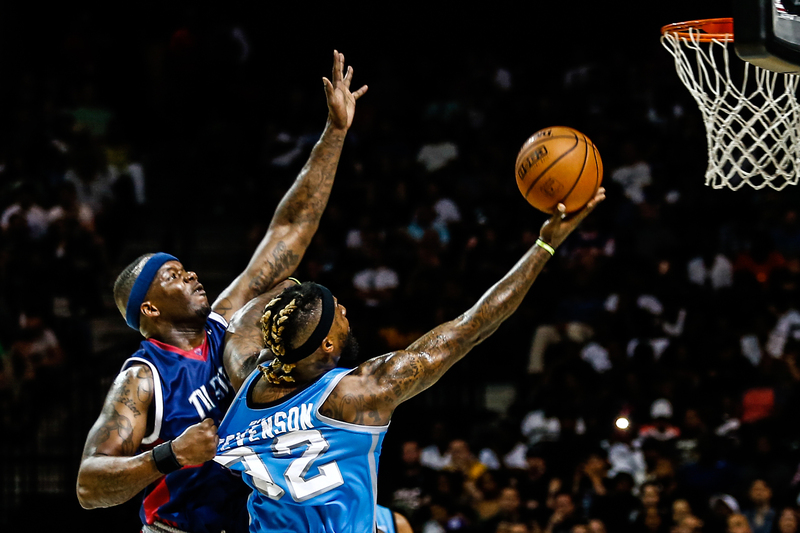 Power's DeShawn Stevenson tries to go for the lay-up while Tri-State's Jermaine ONeal defends during the game between Power and Tri-State on June 25, 2017 at the Barclays Center in Brooklyn, New York. 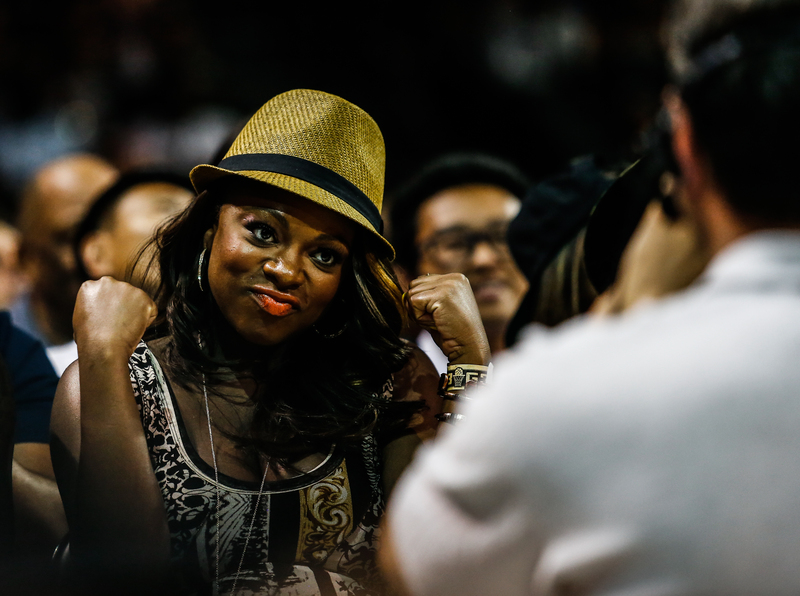 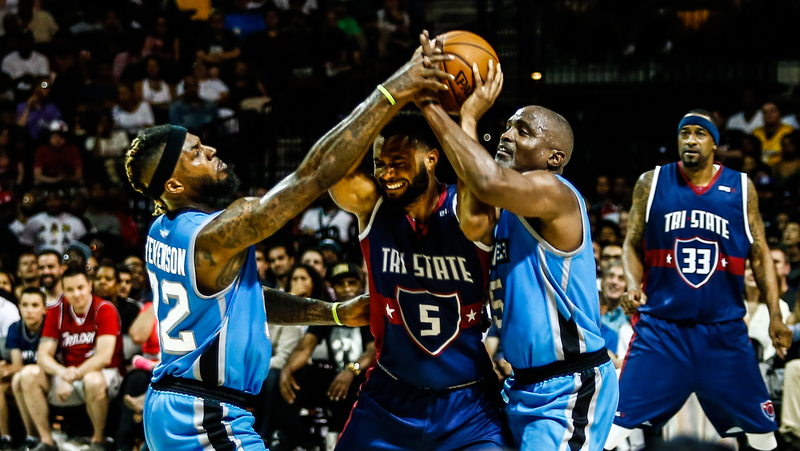 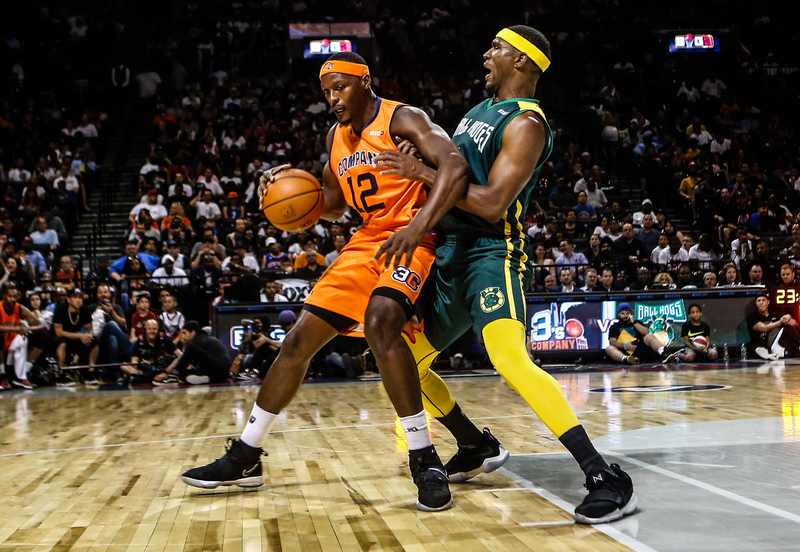 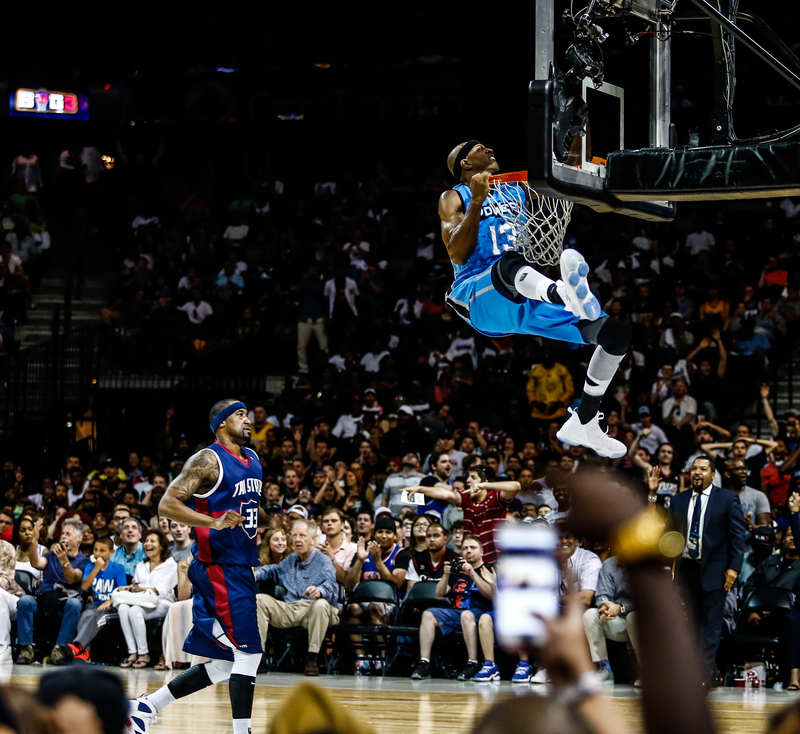 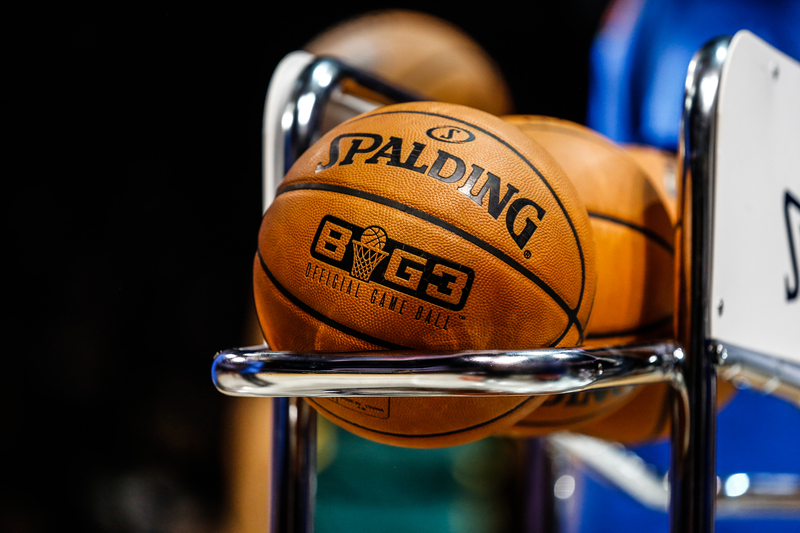 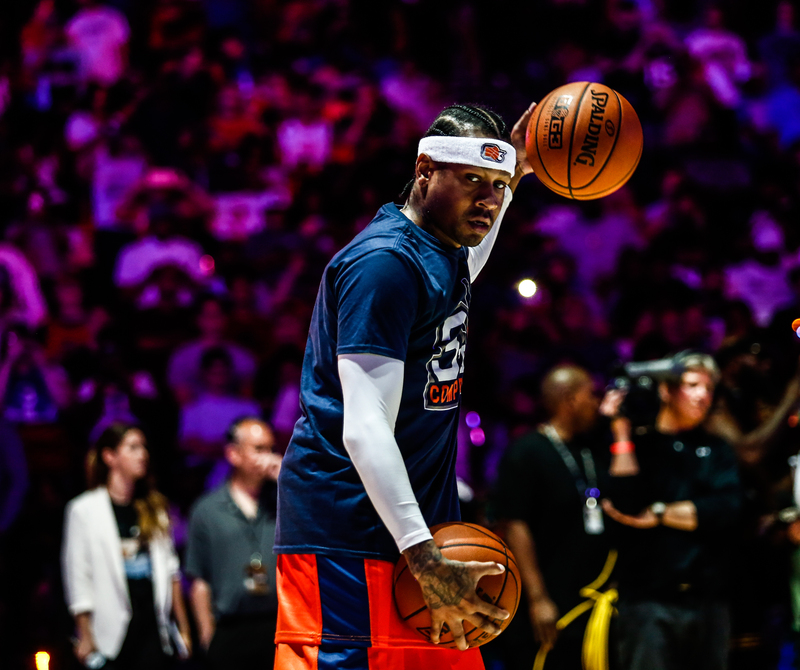 The BIG3 League, created by Ice Cube, debuted with four games of three on three basketball featuring former NBA players. 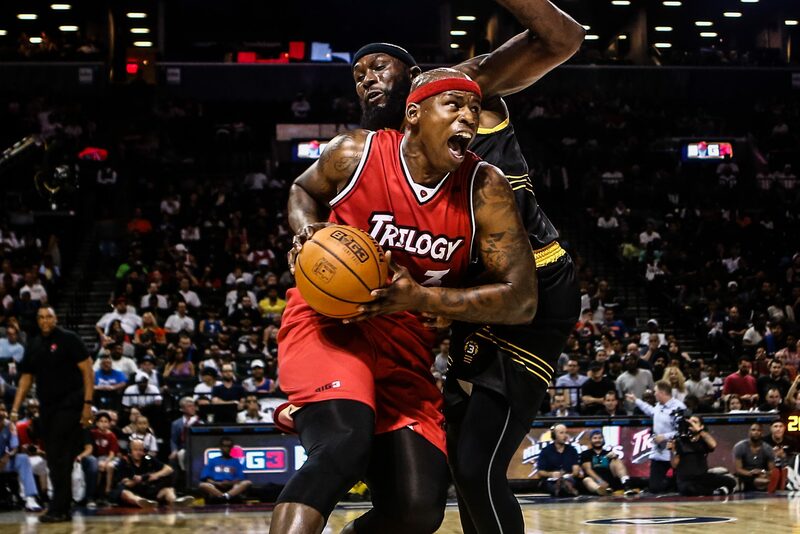 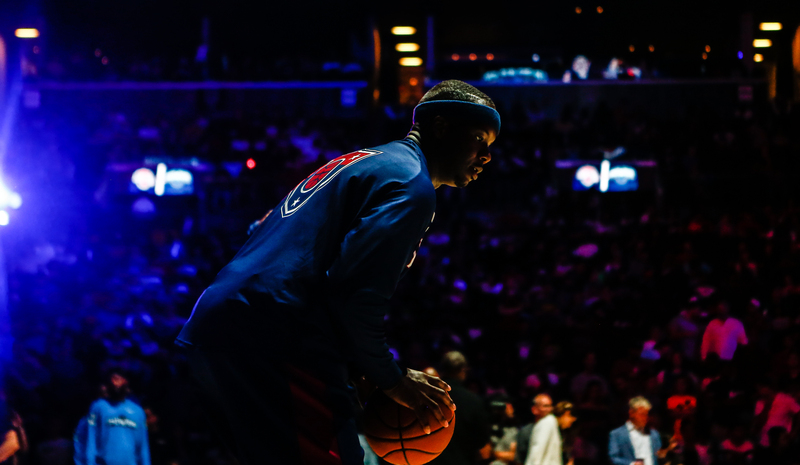 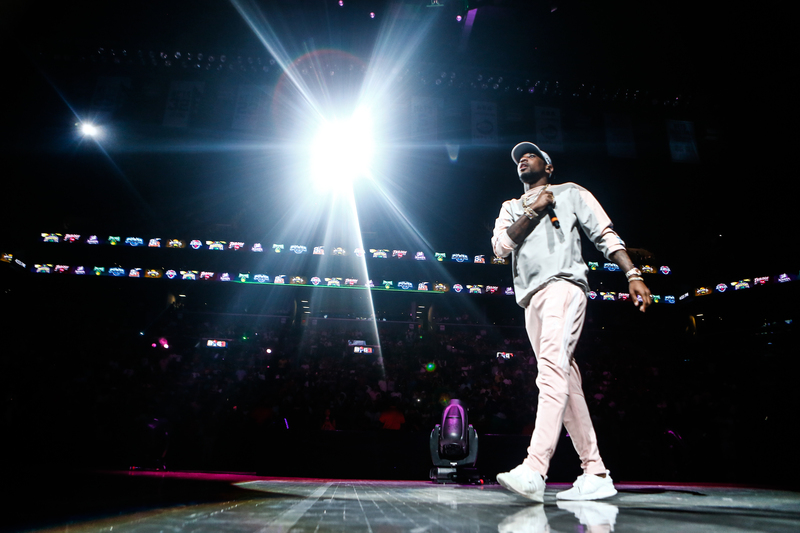 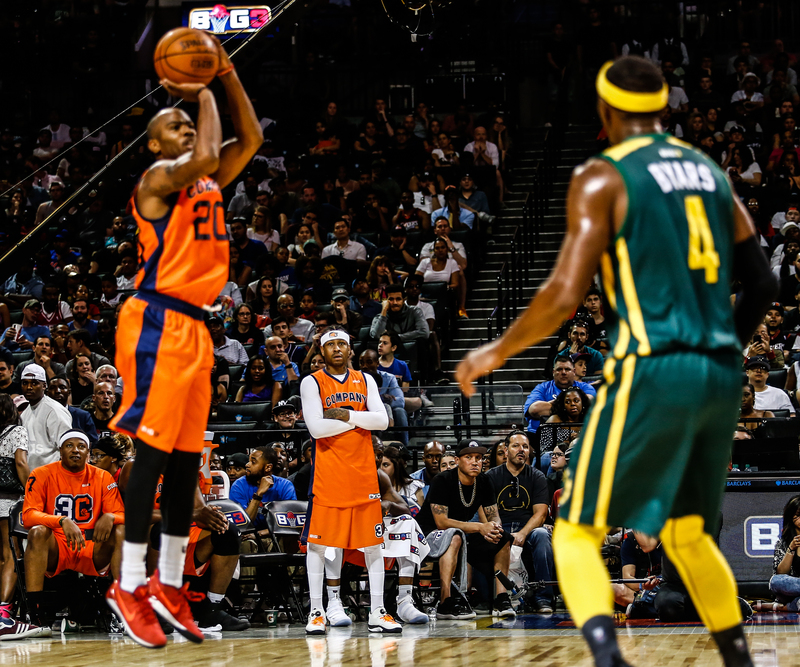 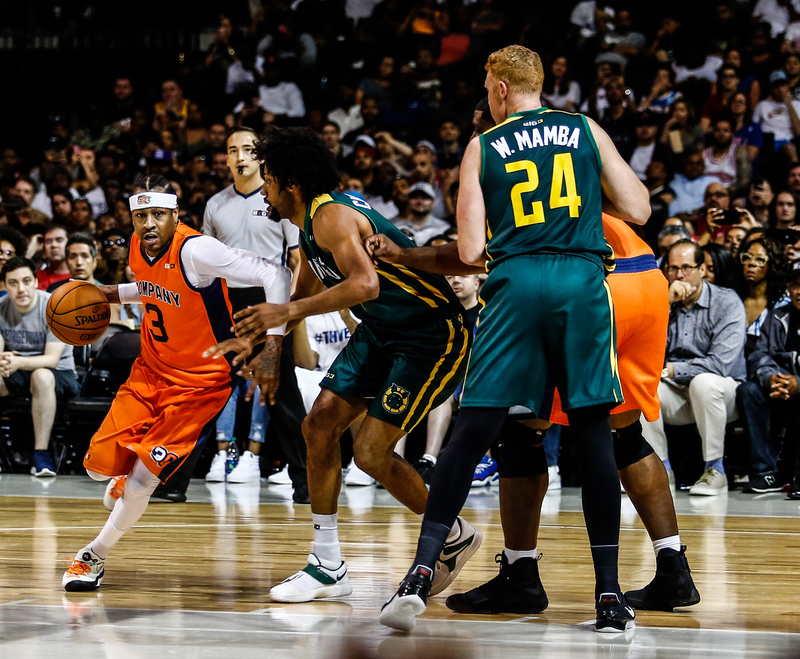 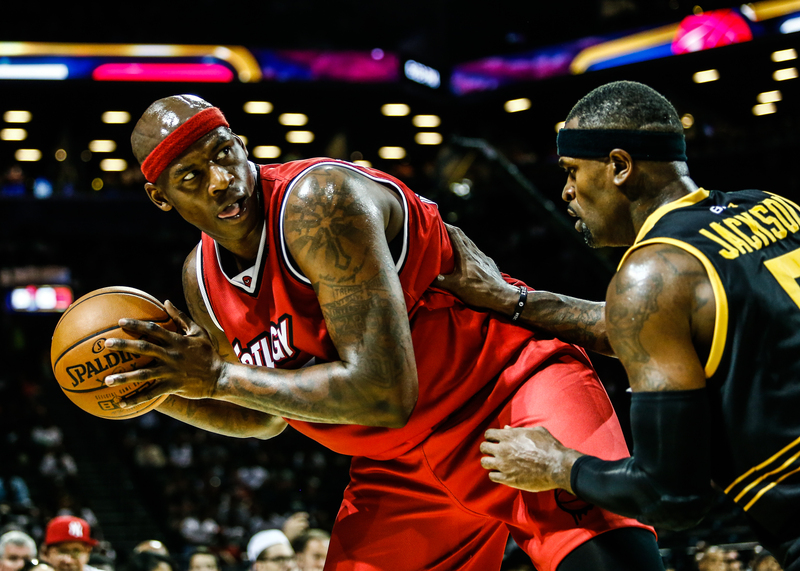 Trilogy's Al Harrington gets around Killer 3s' Larry Hughes during the game between Trilogy and Killer 3s on June 25, 2017 at the Barclays Center in Brooklyn, New York. 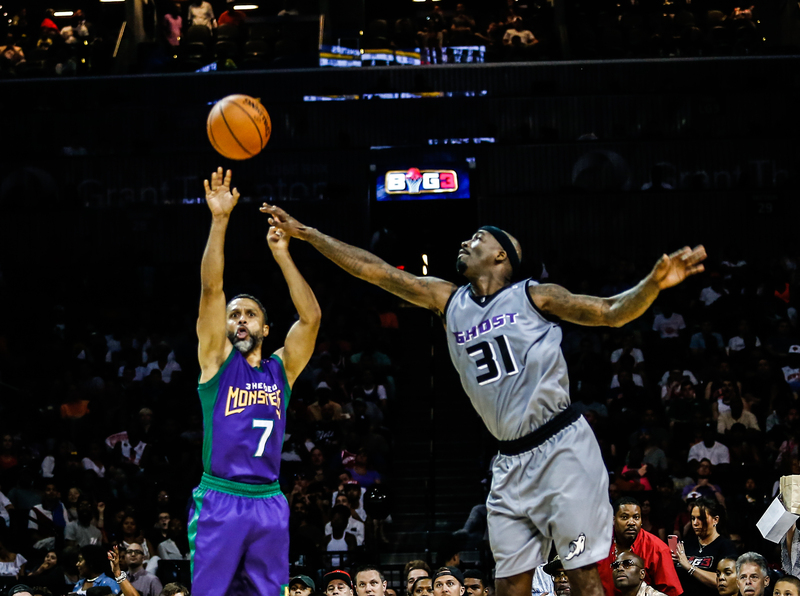 Power's DeShawn Stevenson and Cuttino Mobley try to steal from Tri-State's Xavier Silas during the game between Power and Tri-State on June 25, 2017 at the Barclays Center in Brooklyn, New York. 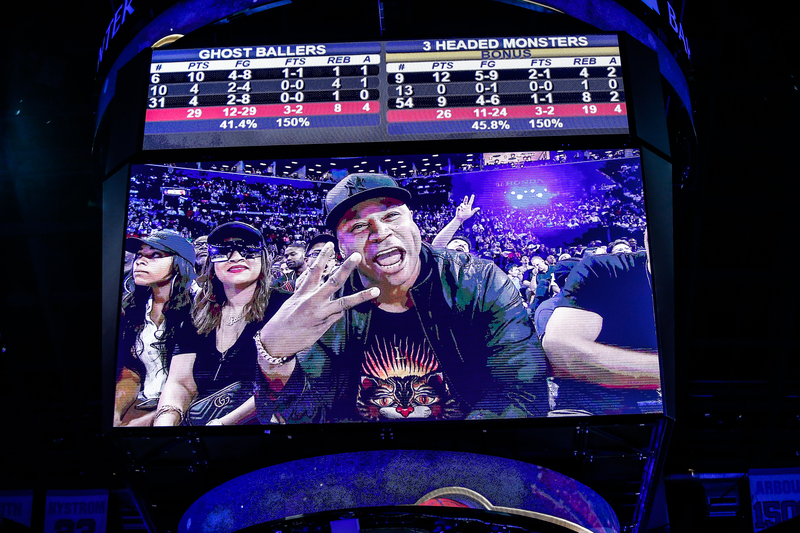 The BIG3 League, created by Ice Cube, debuted with four games of three on three basketball featuring former NBA players. 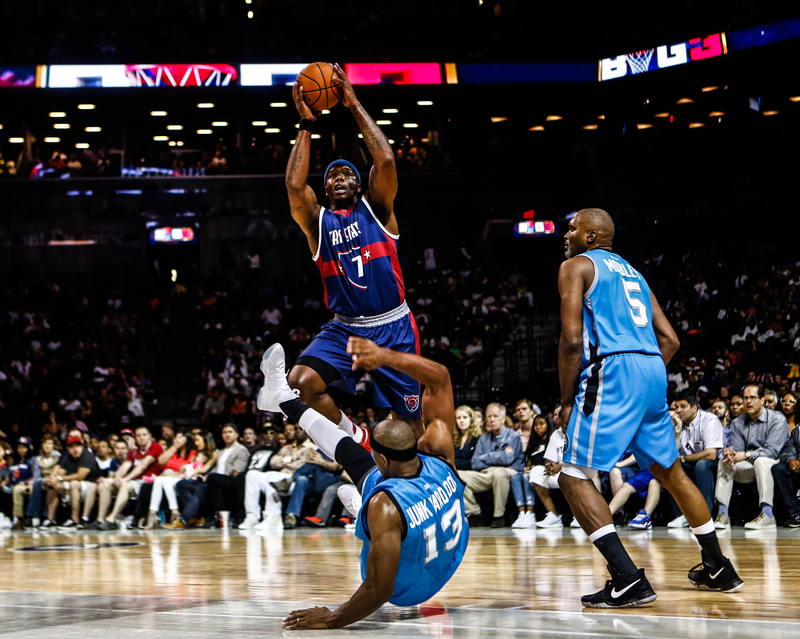 Tri-State's Jermaine O'Neal shoots over a fallen Jerome Williams from Power during the game between Power and Tri-State on June 25, 2017 at the Barclays Center in Brooklyn, New York. 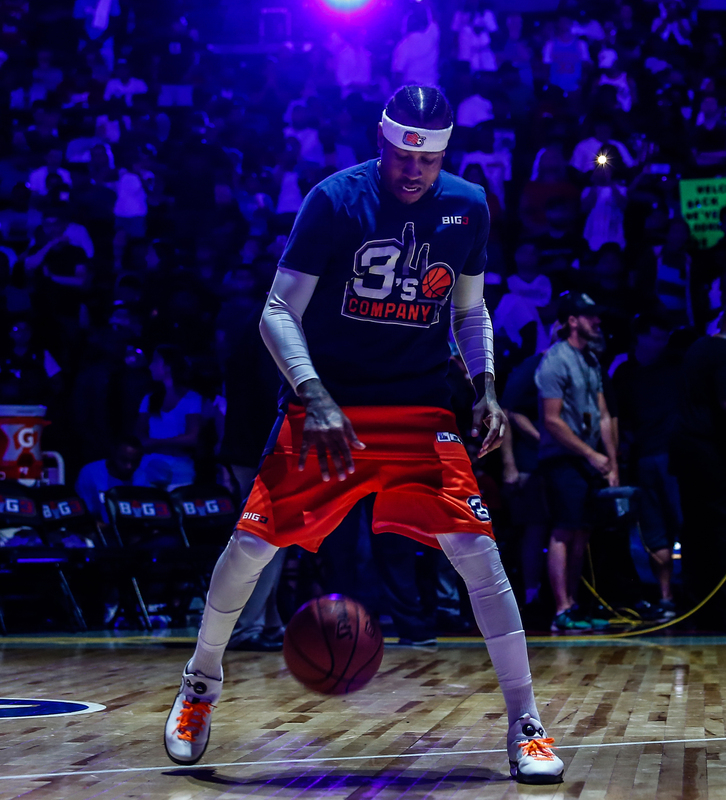 The BIG3 League, created by Ice Cube, debuted with four games of three on three basketball featuring former NBA players. 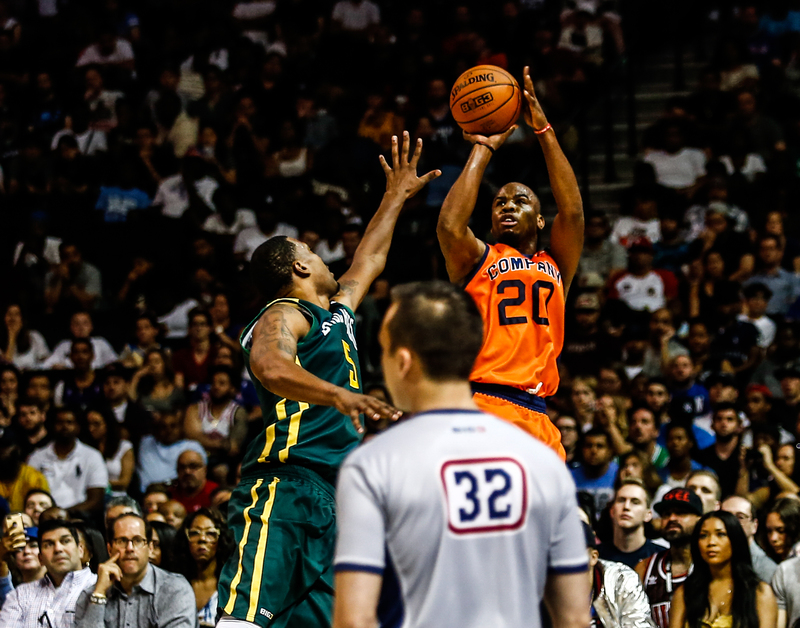 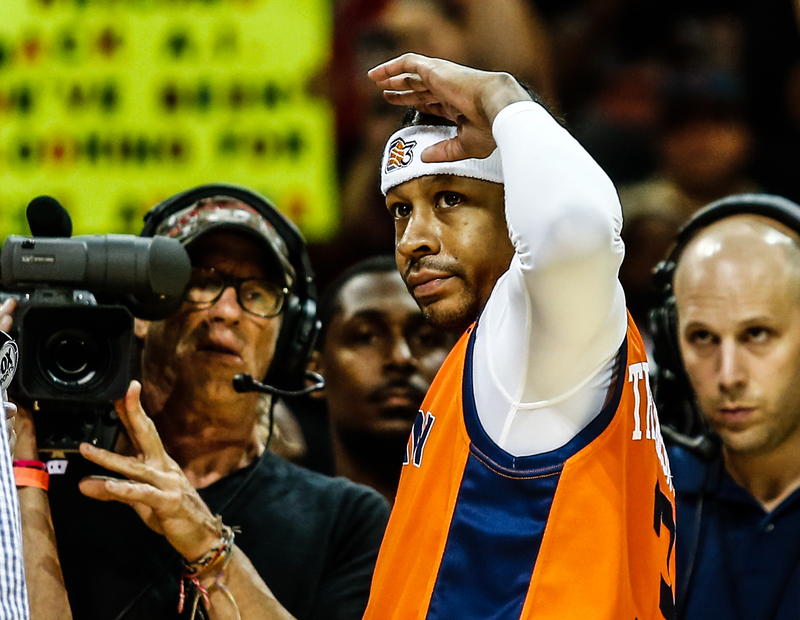 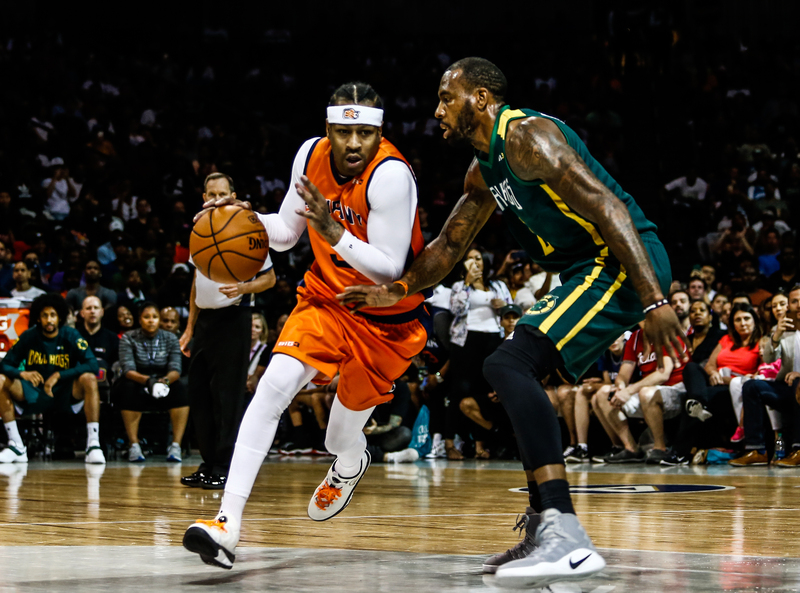 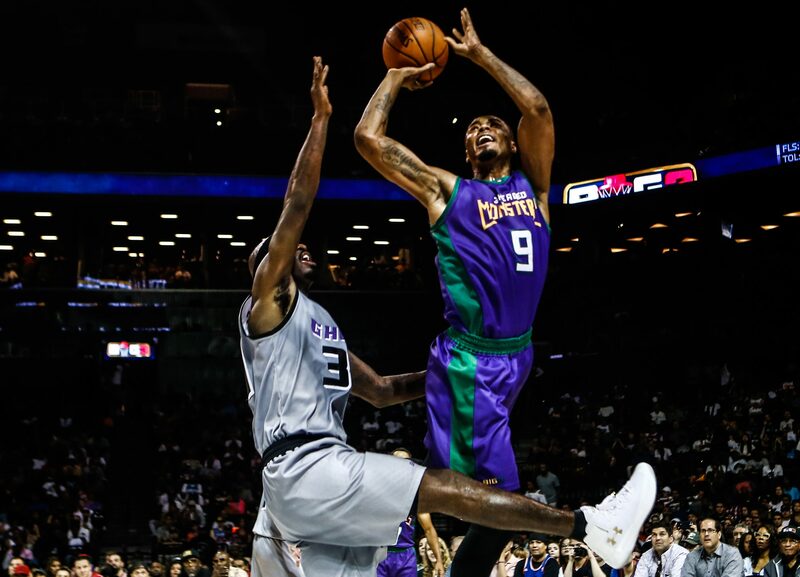 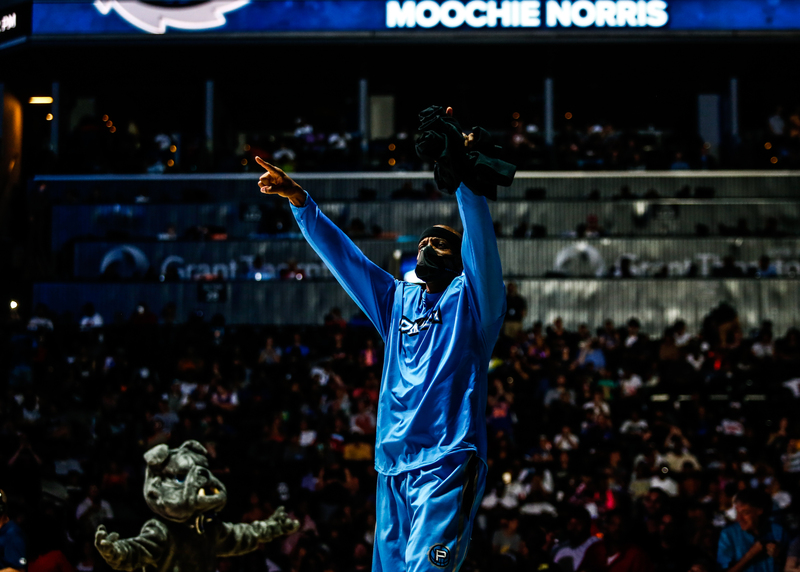 3s Company captain Allen Iverson watches as Andre Owens goes up for a shot during the game between 3s Company and Ball Hogs on June 25, 2017 at the Barclays Center in Brooklyn, New York. 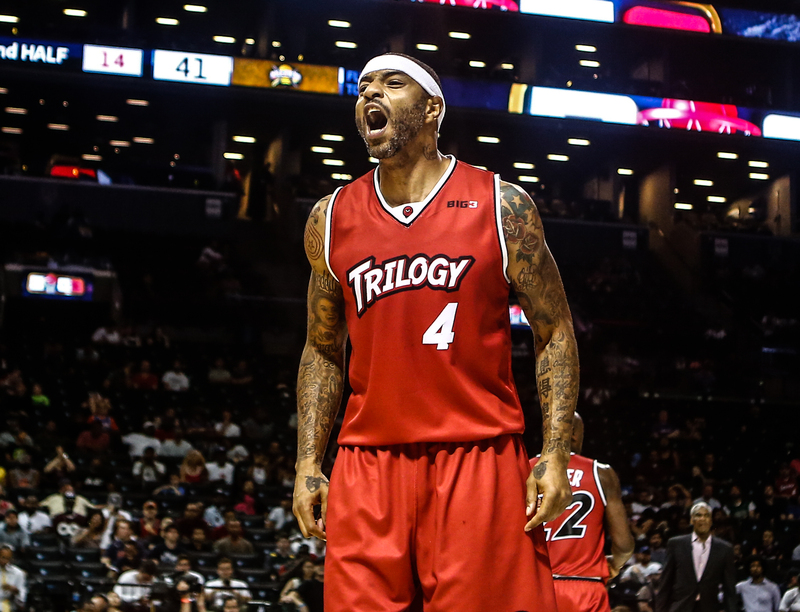 The BIG3 League, created by Ice Cube, debuted with four games of three on three basketball featuring former NBA players. 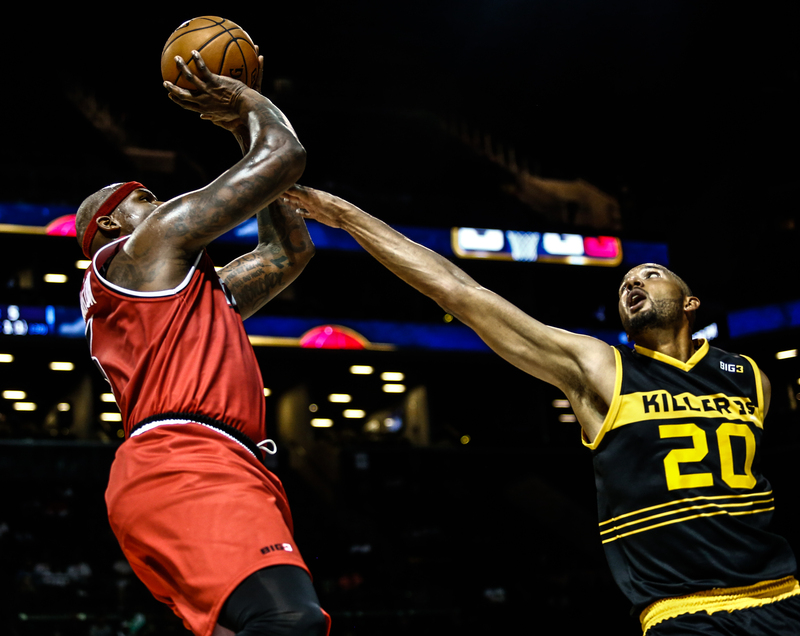 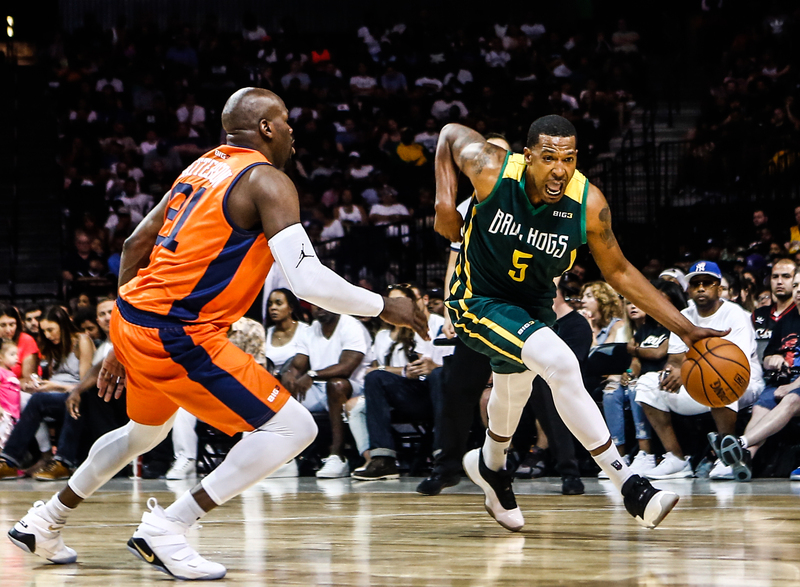 Ball Hogs' Dominic McGuire dribbles around 3's Company Ruben Patterson during the game between 3's Company and Ball Hogs on June 25, 2017 at the Barclays Center in Brooklyn, New York. 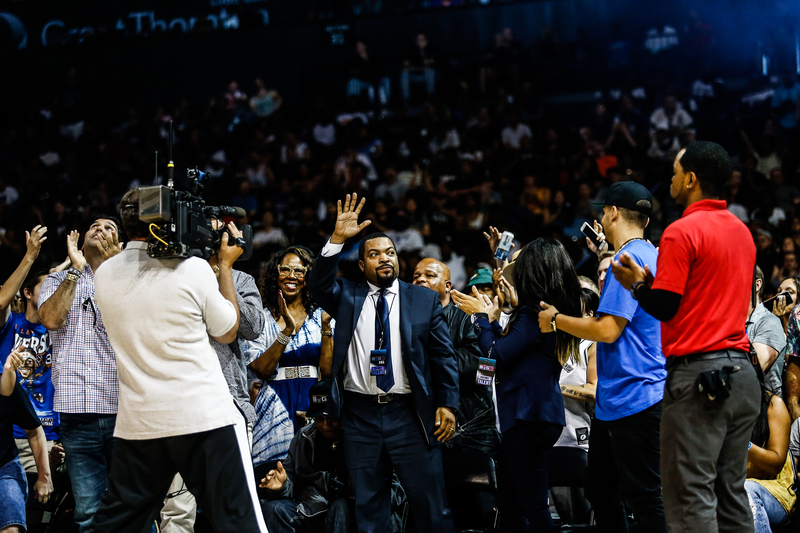 The BIG3 League, created by Ice Cube, debuted with four games of three on three basketball featuring former NBA players.